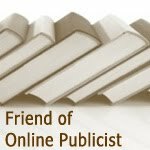 Without book bloggers, there would be no Online Publicist. I feel as though I send out general thank you's ad nauseam. I want every book blogger to individually feel loved and appreciated. I tend to steer clear of singling folks out because I truly could not do my work without every single one of you! 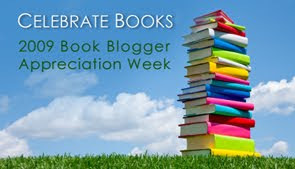 So, today's BBAW topic is 'What book blogs mean something to you?' My approach to this came about from some research I was doing last week. I pulled out an old file and thumbed through it, seeking inspiration for an unrelated project. As I dug through the file, I caught my breath. The materials date back to 2007. And there are folks on these lists that I still work with today! So, I would like to use this post to thank the people who took a chance on me back when I was a online book blogging publicist newbie. Back when I was throwing books at the virtual wall and waiting to see where they would stick. While they're not all book bloggers, they do include book reviews when the topic is right. Heather at Errant Thoughts has been kind enough to review for me since 2007. Some books haven't work for her. Some have. But she's always been fair and honest in her thoughts. Motherwise Cracks: hysterical posts on parenting and daily life by a great blogger who reviewed for me a long time ago, even though she's not a book blogger. Julie Rains is one of my absolute favorite personal finance bloggers. She blogs at Wise Bread. If you're ever looking for a great personal finance book, you can't go wrong using one of her recommendations. Back in '07, I approached Jason Alba because his career management blog, JibberJobber, was the perfect outlet for a business book I was working on. He was so impressed that I had read his posts before contacting him that he said he would speak of me at a conference he was putting together in order to help marketing and PR people understand the 'blogger.' His comment of, 'You're still the best PR person to work with,' still makes me feel warm and fuzzy. If you're ever looking for a book on career guidance, I highly recommend his titles. Do you know any blogs that are not book specific, but still utilize reviews to support their content? Your list is all bloggers that are new to me. Thanks for expanding my horizons! I haven't been to any of the blogs you mentioned, but I'll check them out. Yours is great too! Thanks for visiting mine. I love Heather. She has such a good mix on her blog and I value her opinions. I'm not familiar with the others you mention, but I'll have to give them a look. One of my favorite bloggers is Florinda with 3R's: Reading, 'Riting, and Randomness. 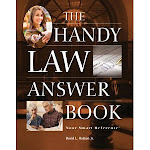 She writes about a variety of topics, including books.